Please welcome Jody Hedlund for today’s interview. Jody is a debut historical romance novelist who was a double finalist in the 2009 ACFW Genesis Contest in Historical Romance. She received a bachelor’s degree from Taylor University and a master’s from the University of Wisconsin, both in Social Work. Currently she makes her home in central Michigan, with her husband and five busy children. The Preacher’s Bride is a tale about finding true love amidst the intense discrimination and persecution that existed after the Restoration of the monarchy in 1650’s England. This book is inspired by Elizabeth Bunyan, the second wife of John Bunyan, author of Pilgrim’s Progress, one of the most popular books of all times. As I was reading a biography about John Bunyan (Yes, I actually LIKE reading biographies! ), I ran across a small excerpt about Elizabeth. I loved the brave way Elizabeth defended John during one of his trials when he was under arrest for his “unlicensed” preaching. Her strength to face a court of persecutors and her determination to faithfully support her husband touched me so deeply, that I decided her little-known story needed to be told to the world. 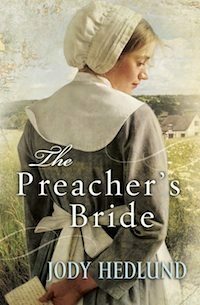 The Preacher’s Bride will be published by Christian publisher Bethany House. Do you see your work as evangelical Christian fiction, or are the spiritual threads more subtly woven into your story? Of course, by nature of the setting and time period, the book has religious tones. My main character, John, was persecuted and eventually imprisoned for his unwillingness to give up his preaching. Religion was vitally important to him, as it was to most people during the 1600’s. My faith is incredibly important to me too. However, I firmly believe a writer should never take a reader out of the story in her efforts to convey a message or theme. They should be woven in seamlessly. The themes within The Preacher’s Bride are universal—issues we all deal with no matter our faith or background: discrimination for beliefs, marriage crises, low self-esteem, difficulty prioritizing family, and more. You’re represented by the lovely Rachelle Gardner. How did you connect with her? After many rejections, she was one of the last agents I queried with The Preacher’s Bride. I was giddy with delight when I got a request for a full within a few days of querying. Little did I know I was in for months of sitting in her slush pile. Yes, my manuscript languished there for NINE months. During those long days of waiting, I kept myself busy writing the next book. It wasn’t until after I finaled in the Genesis (a national fiction writers contest for unpublished authors), that Rachelle finally plucked my manuscript from the slush pile and gave me THE CALL. 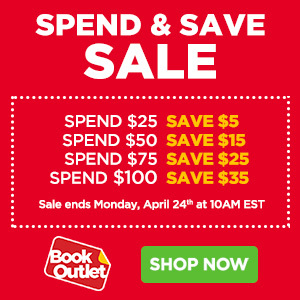 Within three months she landed me a three book deal with my publisher (with one of my completed books; my publisher didn’t want the other one—yet). How is writing your second book proving different to writing your first? Is it easier or more difficult, and why? I recently finished writing and editing my second contracted book. It’s in the hands of my in-house editors and now I’m a quivering mess as I await their feedback! I don’t think we’ll ever shed that “naked” feeling we have when we let others inspect our work. However, with Book #2, I wasn’t stabbing in the dark, hoping I’d please my editors. Before writing it, I turned in a synopsis, and my editors approved the story and gave me some direction for it. I also knew that any time during the process, I could email or call them to discuss potential concerns. So, in one sense Book #2 was easier—I didn’t have the fear that plagues us before a contract “What if I go to all this work and no one wants it?” I knew they wanted the story. But, I also had new-job jitters. This book wasn’t optional the way all my others had been. I was contracted. I had deadlines and more work. In spite the new pressures I absolutely loved writing Book #2. The process brought me the most pleasure I’ve had yet writing any book. I hope each book only gets better and the enjoyment more intense. What’s one thing aspiring authors might be surprised to hear about the reality of being published? Part of my contract states that I have to learn how to perform juggling—you know, throwing knives in the air through hoops of fire—that kind of thing. Okay. Not really. Seriously, there’s always something that needs tending and often multiple things at once. For example, when I was writing Book #2, I was also getting emails from my line-editor on issues within The Preacher’s Bride. There’s a never-ending stream of work to juggle. Here’s my parting 2 cents: Anybody can pick up a pen and paper and call themselves a writer. But real writers can’t stop when publication seems too far away or when the demands get too heavy. The love of writing won’t let them—at least it won’t let me. What about you? Are you tempted to give up when the going gets tough? Or does the love of writing have a tough grip on you? Jody’s debut book, The Preacher’s Bride, is available for pre-order on Amazon.com. Stop by her blog, Author, Jody Hedlund, where she chronicles her journey to publication and dispenses more of her two-cent writing wisdom. Also, swing by her new website JodyHedlund.com, or connect with her on Twitter. Great interview! I’ve been a follower of Jody’s blog since I started blogging, and I can’t wait to read her debut novel! Thank you, Laura!! You are so right to keep dreaming big and staying positive! Great interview. And Jody is one of the nicest people in the blogosphere! I can’t wait for her book to come out! Thank you so much for this interview, Jody! Like you, I feel spiritual or evangelical aspects of any novel should be seamlessly woven into the story. I don’t know a lot about Christian publishing these days, but I’ve heard things are generally moving in that direction. All the best!